Now this present time article marketing is the way to drive huge visitor to your blog. For good Article Marketing what you do? a) 1st write 700/1000 words article. B) 2nd you use primary keyword 3 times, other use relevant Keywords. c) Write an article same subject. d) Original written article only published your own website or blog. e) Now Use Article rewriting tools and rewrites your blog article. f) After that published your rewritten article High page rank Article publisher site. There is no way to avoid Social Media. It’s not only drive traffic visitor but also help to get strong back links for your blog or website. Blog comment is the great way to drive tariff. 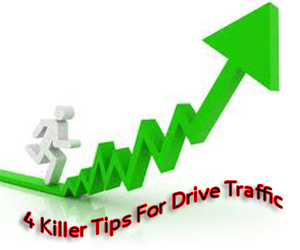 Blog Comment gives huge traffic beside give strong visitor your blog. You must relevant blog comment because Google like relevant blog comment otherwise it be spamming. You can get 50-100 visitors by 1 blog comment.